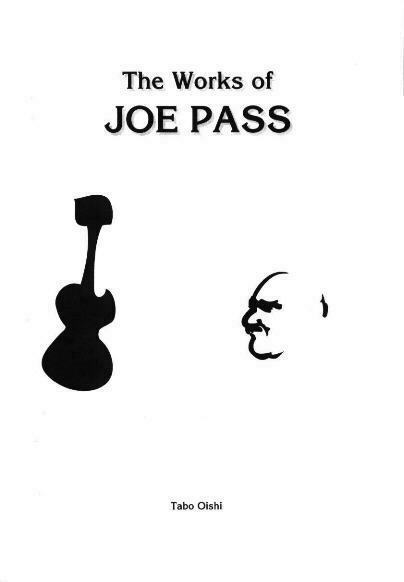 Joe Pass recorded on well over 150 records, with Ella Fitzgerald, Oscar Peterson, Duke Ellington, Count Basie, Sarah Vaughan, Herb Ellis, Dizzy Gillespie, Gerald Wilson, and many other giants of jazz. Plus, he wrote several books for guitarists, and was featured in several videos, etc. Many professional guitarists and jazz writers regard Joe Pass as one of the all-time greatest jazz guitarists. The late Leaonard Feather (author of "The Encylopedia of Jazz"), in an article published in the Los Angeles Times, picked Joe as the guitarist for his "fantasy jazz band of the 20th Century." When I was barely fifteen years old, my high school band director, Bob Smith, played a record for me: Moment of Truth by the Gerald Wilson Orchestra. Mr. Smith, said: "Brad, listen to this guitarist, Joe Pass!" Then I remembered reading an interview with Joe Pass in Guitar Player magazine, in which he said he taught a few lessons. A few months later, I contacted Mr. Pass by phone and asked if I could study guitar from him. He obliged, and I was forever influenced by his music, mentoring, and friendship. In 1981, I wrote a tribute piece I entitled "Passalaqua" -then expanded it into a suite entitled: Passalaqua Suite, after Joe's full last name. I first recorded the suite in 1981 (with Mark Massey on piano, Gary Pratt on bass, Scott Page on drums, and me on guitar), and gave it to Joe as a "thank you." I asked Joe if he minded that I called it Passalaqua Suite, and he said "No, not at all. I'm honored by it. It sounds like a classical piece, like a passacaglia (Joe chuckled)." Years later, I planned to include Passalaqua Suite on my CD. Joe agreed to perform the suite on the CD, however, it was not to be. Joe left the planet too soon. 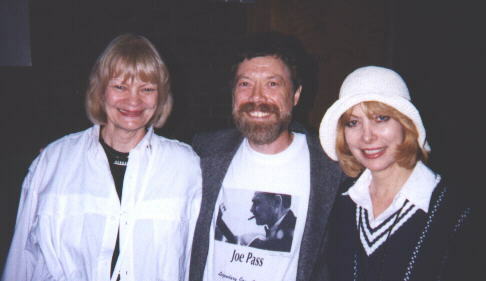 So, with great respect for Joe's influence and legacy, I performed the guitar part, and dedicate Passalaqua Suite on my CD to Joe Pass. Lessons With Joe--a collage of conversation and lessons with Joe, is a prelude to Passalaqua Suite, to show a bit of his influence on me, personally. I hope you find it enjoyable. Please email me any new Joe Pass links...Thanks! The word and symbol are registered trademarks of Geofonica, Inc.